where Joan and Ian Stewart-Koster and the family have had numerous successes breeding, showing and working these wonderful horses through three decades. Occasionally, they have clydesdale horses for sale, but the past few years of drought conditions have caused them to consolidate horse numbers a bit. The link below, if clicked, will take you to a gallery of relatively recent champions they've bred. 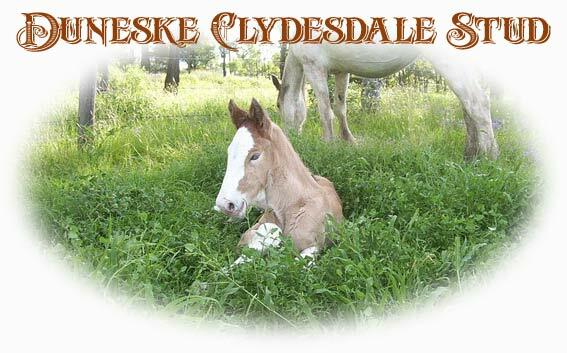 Toward the end of the year there will be some 'family tree' galleries set up, with pictures of ancestral clydesdales in Duneske horses' pedigrees, as well as a gallery of more working horse photos.